As an ecosystem ecologist, I incorporate concepts in both plant ecology and soil biogeochemistry to understand how climate change, land use change, and invasive species impact how carbon and nutrients are cycled in terrestrial ecosystems.. In my research, I use a combination of experimental and observational studies that span a diversity of terrestrial ecosystems. Non-native, invasive species can have significant impacts on ecosystems by altering biogeochemical cycling through differences in nutrient uptake strategies, tissue chemical composition, and flammability. Cogongrass (Imperata cylindrica) is considered one of the most invasive species worldwide and can leave a once diverse pine understory into a monotypic stand of cogongrass. I decomposed litter and roots/rhizomes from the invasive grass Imperata cylindrica (Cogongrass) and two native species, Aristida stricta (Wiregrass) and Pinus palustris (Longleaf pine) in a common garden environment to test the impacts of invasion and drought on the decomposition of plant litter. The arctic region is warming at twice the rate as the rest of the globe. Thus, ecosystems in these regions are already being impacted by climate change, which has led to an increase in the frequency, intensity, and severity of fires in many boreal forests. These forests cover a large portion of vegetated land surface above the Arctic Circle, contain a significant proportion of the global carbon stocks, and are predicted to migrate northward into tundra with climate warming. 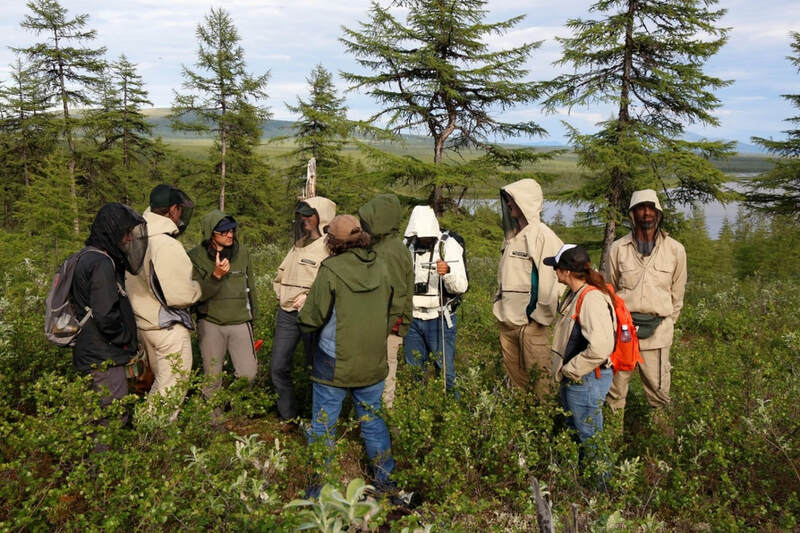 As part of an Arctic Systems National Science Foundation grant, myself and my collaborators are investigating how an altered fire regime in Larch forests in Siberia impacts Larch recruitment and carbon stored in plants and soils.